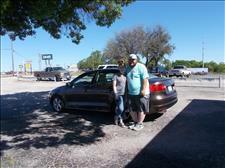 We are very happy with our Volkswagen Jetta! Thank you!!! 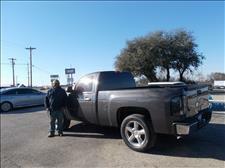 I was really in a bind - my truck had left me on the side of the road unexpectedly and unable to fix. 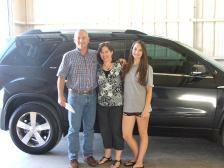 Howorth Auto Group helped me out a lot. The price was set to drive off that day and no surprises with my paperwork. 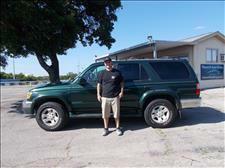 I would recommend them to anyone looking for a good used car! 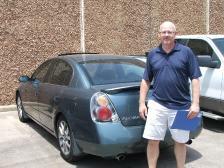 Our process with getting our vehicle through Howorth Auto Group was easy and pain free! I would definitely recommend others. Thank you for helping us get into an awesome vehicle! 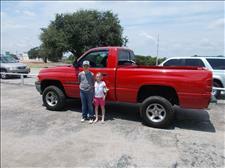 This is the best place to buy a car, truck or SUV. The people are great. They help in anyway they can. Not like other dealerships where they just want your money! 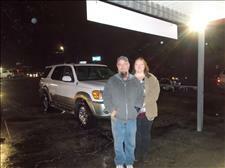 Big thank you for believing in us and helping us get our SUV! For a few weeks, we would stroll the lot looking at different inventory. We had noticed they offered financing and when I called I spoke to Amy, just her phone presence alone left me smiling and answered all of our questions. Amy was exactly who I pictured over the phone, very kind and welcoming. 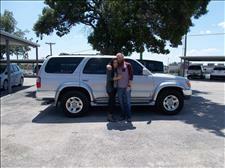 Found ourselves a Toyota 4Runner and we were sold!! 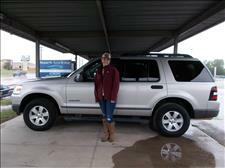 The process was easy, Amy had already told me over the phone the paperwork I needed...no joke we were probably in the office for 20 min and then out the door with our new vehicle! 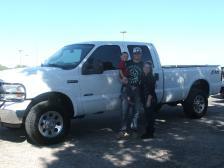 The payments are great and reasonable, the down payment didn’t break our pocket, overall best experience EVER! Great owners who are professional and very humble. Thanks Howorth Auto Group! I appreciate everything you did to help me get into my truck. 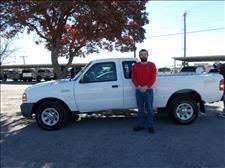 It was an easy transaction and I am very pleased with the Tacoma. 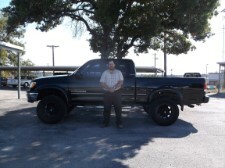 I will be purchasing my next vehicle thru you when it's time! It was so nice to have a hands-on and personal experience. You guys rock! Thanks again! 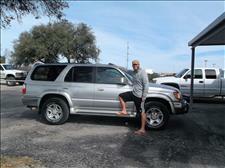 I love my new 4Runner! It was a great experience - thank you for making it so smooth. We are more than happy to send any business we can your way with great reviews and suggestions! After months of shopping and getting the old runaround from every other dealership we came back to the INCREDIBLE people of Howorth Auto! Everything was upfront and honest with no effort to get needed info! We will absolutely be buying our next car here! 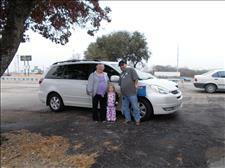 We loved the experience we had with Howorth Auto Group. 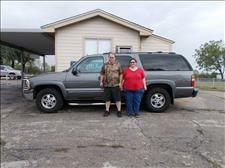 We just bought are second car from them. Always treated like family. Nice working with you today! Thank you! 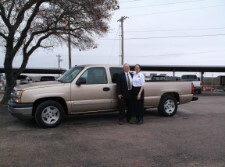 My husband and I had a wonderful experience purchasing a vehicle from Howorth Auto Group. 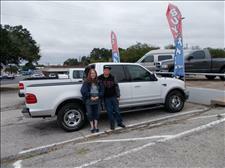 Ty and Amy carry a great selection of quality vehicles. 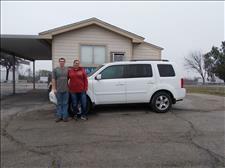 They made us feel like family, did everything to help us get into this vehicle, and followed up to make sure that we were well satisfied. 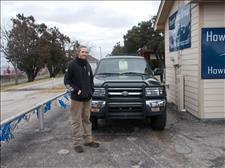 This is an excellent place to purchase your next vehicle from! 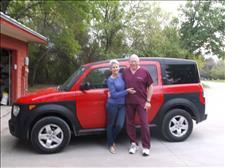 Thank you so much Howorth Auto Group - I love my car!! Great buying experience! Fast & friendly, no pressure. 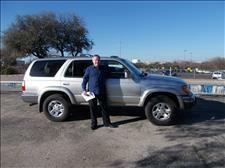 I'm very happy with my 1998 Toyota 4Runner! We want to thank you so much. We love the car. You made the process so stress-less and we definitely will head back to you when we are ready for another! Well-run business and great people!! Fast and friendly transaction. First let me say that I really dislike car shopping. 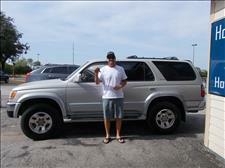 When I purchased my last car 5 years ago, I was in the dealership for 6 hours negotiating and signing paperwork. 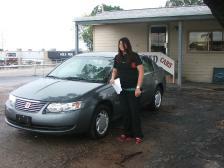 I purchased my current car at Howorth Auto Group and I was in and out in a little over an hour, including the test drive. Probably the most painless car buying experience I've ever had! 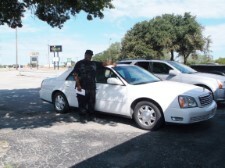 I have received an honest and fair deal on my vehicle from Howorth Auto Group! I have already received a lot of compliments...these people you can honesty trust...Thanks!! 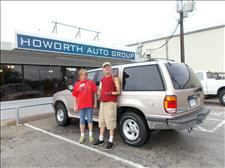 Our experience at Howorth Auto Group was outstanding!! Ty and Amy are the best!!! 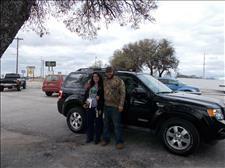 I appreciate all they did to help me get my vehicle!! I will definitely be recommending Howorth Auto Group to family and friends (I've already started spreading the word on how fantastic they are!!) I will definitely be a returning customer for future purchases!! Thank you Ty and Amy...you guys are awesome!!! It's been a pleasure to continue doing business with ya'll. I have been telling multiple people about ya'll Thank you again! Howorth Auto Group is amazing! 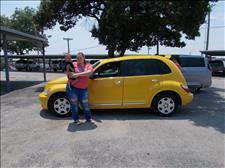 They worked with me on getting a great dependable car when I really needed one for me and my kids! The Tundra drives great! Thank you Howorth Auto Group! It was a pleasure doing business with Howorth Auto Group. You guys made everything easy and hassle free...thank you!!! 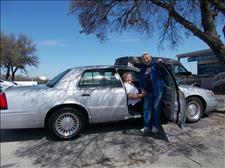 These folks go the extra mile to get you in the vehicle you want. Above and beyond - Thanks Amy! Been car shopping for awhile and it's not the easiest thing to do. 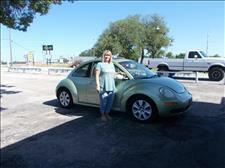 Amy was very friendly and helpful...I'm wishing I would have went there to Howorth Auto Group first! 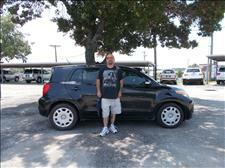 I purchased a 2011 Scion and just love the car! Would recommend everyone shop here! 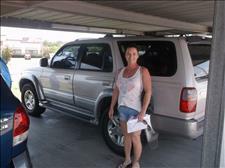 I bought a Chevy Tahoe and now got a 2nd car from them...got approved on the spot they helped me with my down payment, I didn’t have it all but Amy worked with me all the way. Also the payments are low and that helps one a lot!! Very friendly place! I recommend you stop here if you see a car you like...I’m sure once you do, you will be driving out the lot with it. My experience at Howorth Auto Group was greater than I could've hoped for. 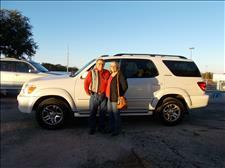 I called earlier in the day and spoke with Amy about my car buying needs. When I arrived later that same day, she gave me honest and helpful advice about my purchase. 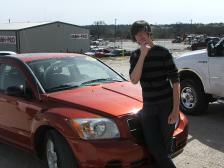 I drove home that evening in a good quality, safe vehicle that isn't breaking the bank! Shopping for a car isn't on the top of my list of favorite things. 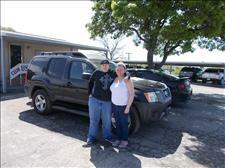 But Ty and Amy Howorth and their inventory of quality cars, trucks, and SUVs made it quick, easy, and fun. Special people delivering a special experience. If you're looking for a vehicle you need to go to Howorth Auto Group first! I could not ask for a better bunch of people to work with. 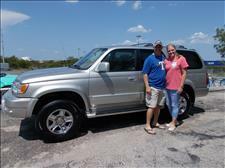 This is our 2nd purchase with Howorth Auto Group and I don't see us going anywhere else in the future. 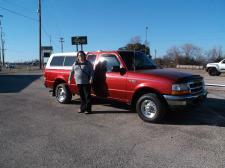 I love my Expedition! Everyone deserves a second chance, and that’s what I got. 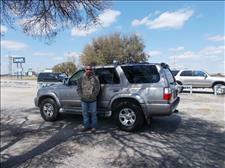 No judgment and a great 4Runner at a great price. The entire process was seamless from start to finish and I felt like I was dealing with family instead of a shady car lot. Couldn’t be happier!! Amy was great and super easy to work with. I would highly recommend Howorth Auto Group. 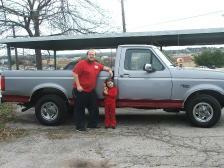 Our son is super excited about his new truck! Thank you! 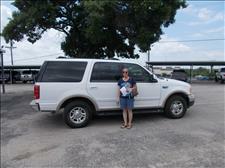 Amy was very helpful and made purchase easy and fixed the door locks that were jamming promptly! 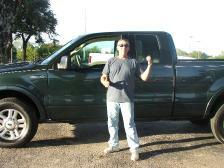 This Ford F150 SuperCrew is a great truck! Thank you! 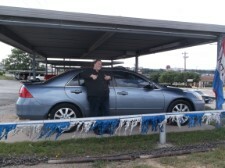 This was one of the best car buying experiences I have had in years. The car was exactly as I was promised and even better. I highly recommend Amy and Ty. Great people!! Thank you so much! 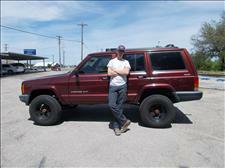 The Jeep is awesome! The deal was fast, painless and a lot of fun! Thank you again! Howorth Auto Group is the most incredible dealership I've ever dealt with. This vehicle means so much to me! 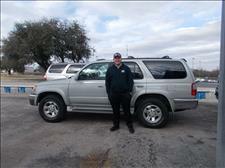 You are helping me put my life back together and I get a lot of compliments on my 4Runner. Howorth is a cut above EVERYONE! It was a much welcomed and appreciated experience. 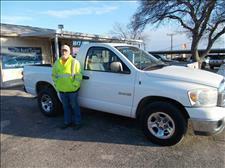 Howorth Auto Group had the Carfax Report available on each vehicle which let me know they were trustworthy. Very nice people! 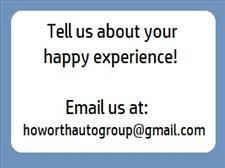 We recommend Howorth Auto Group! Wonderful people and very affordable. 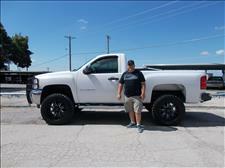 Stop by and look at their beautiful vehicles - you won't be disappointed! Howorth Auto Group is the best - I love this dealership! I'd like to extend my thanks to you guys for selling me such a great little Expedition. I could not be happier with the little cream puff! Ya'll made it easier than buying lunch at a drive thru. Very well represents exactly what you said it was. I appreciate your willingness to make it so easy. You guys are the best! 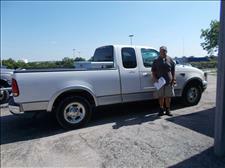 Certainly a cut above the rest when it comes to purchasing a previously loved vehicle! 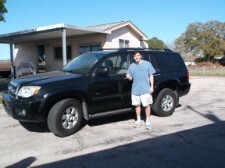 My experience was great with Howorth Auto Group! Everything was fast and easy. I will recommend Howorth to anyone looking for a vehicle in the future. Thank you! 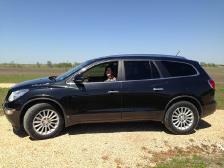 My Nissan Murano has been an experience of luxury and dependability. 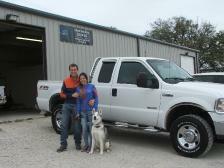 All made possible by doing business with Howorth Auto Group. They have showed me kindness, patience and compassion. Thank you Amy!! 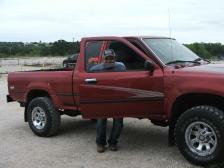 We needed another pickup for the ranch, that we could haul with and use general purpose. 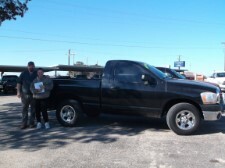 I spotted the Ram, came in for a test drive, took it home the next day! It runs great and has been very efficient! The whole experience at Howorth was great! They are very nice and easy to work with, definitely have the customer in mind here! We will be back in the future!! Our experience was easy and fast. 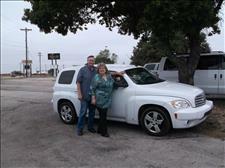 We have been driving 2 cars we purchased from Howorth Auto Group and we love them both. Once they knew what we needed, they began to look. We could have searched the entire Metroplex with all its car lots and not found the smooth riding, clean low mileage vehicle that they found for us. 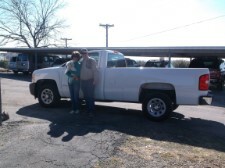 The paperwork was quick and easy, we were given the keys, and we soon were on the road! How it was worth it at the Howorth's! 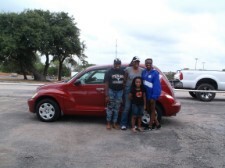 Thank you for making our car-buying experience as painless, and worry-free as possible. It was truly a joy working with you, and I look forward to repeating the experience! Thank you so much Ty and Amy.... just loving my new car!!! 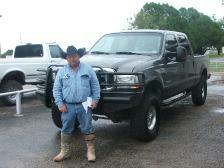 I came to Howorth Auto Group looking for a specific car that was out of production since 2005. I told them what I wanted and wanted a good one. Within a short period of time, they had found me what I wanted for the price I wanted to pay. What great service - Thank you! Thanks so much to Howorth Auto Group!!! I would highly recommend Howorth Auto...they take good care of you. 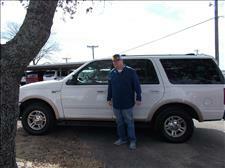 The customer service is fantastic and the vehicles are always in great shape! Being from Houston, the Saturday travel was really pleasant for us and worth every minute. Your unobtrusive style to present the subject of the deal is one of the important moments for buyers like us. Other important thing, the Document Process was well organized, so Alina asked couple times about it, like: who created forms and where you learned all that things. So, Amy answered all of Alina's questions. The price is very competitive, I was looking for exactly that Truck. After a month of ownership I would say that it was well kept before, and worth every cent we paid. Glad that all went like this. Also, she was so Happy and Thankful for the Photo you sent. Thank you very much for good deal, we are happy. It's was a high Pleasure to do business with you. Have a Great Time and we wish you success in Business! 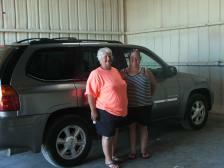 Thank you for the great service we received at Howorth Auto Group! 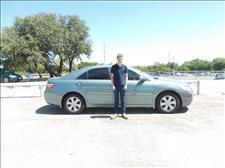 I had such a great experience buying my car. 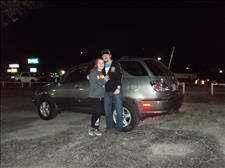 Howorth Auto Group was extremely helpful and made buying my first car super easy! 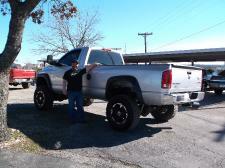 I bought a truck, life happens, my living situation changed. I needed to make a vehicle change. 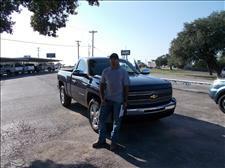 Howorth Auto Group understood my situation and helped me get into a different truck. Can't say enough about these folks! 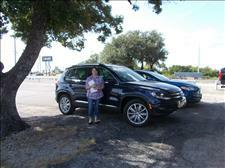 A quick, painless car-buying experience; the longest part of the deal was my test-drive! Both Christian and Amy were nice and accommodating! Really enjoyed my experience dealing with these wonderful people. I would highly recommend this dealership to others wanting to make a vehicle purchase! 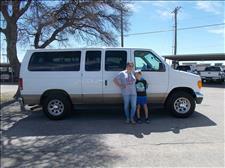 We were looking for our son his first vehicle. Howorth Auto Group was super nice from start to finish. 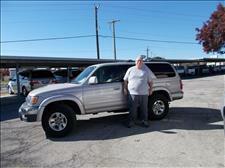 They sell good quality vehicles and come highly recommended. Go see Amy and Ty - tell them The Murphy's sent ya! They treat you like family. The truck was as advertised. The staff got us in and out. I would buy there again! 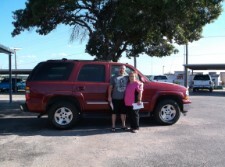 Our buying experience at Howorth Auto Group was wonderful! 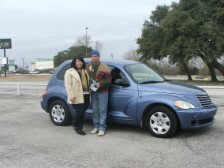 Everyone there seems to really care about the cars they are selling and the buyers purchasing the cars. Everyone is super nice and very kind! 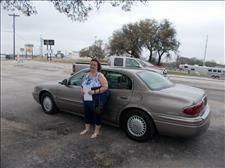 The car we purchased was priced great and signing the paperwork was a breeze! We didn't have to listen to some lame used car sales pitch! 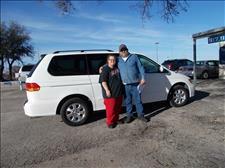 Howorth Auto Group is a great little used car dealer!! We will be spreading the word for sure!! We love our car. People at Howorth Auto Group are really really nice. 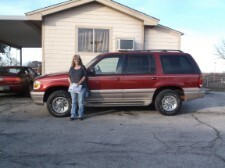 Amy made the entire experience of the purchase of my car so easy! I love it that I can pay my car payment via credit-card. Extremely wonderful people to work with! Enjoying the pickup so far and enjoyed the purchasing experience. It was a pleasure to deal with the two of you. I appreciated your accommodating and genuine nature. I can't believe how easy it was to get my car! Everyone was so friendly and helpful. 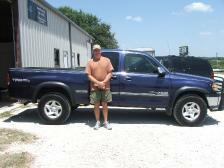 I recommend Howorth Auto to everyone. Thank you so much! 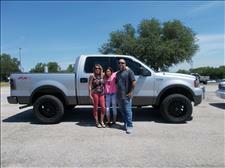 Ty and Amy went the extra mile to help me find the best vehicle for my needs! Their patience, dedication and eye for detail is unsurpassed! Ty listened to what I was looking for and found it! Very quick paperwork process and the owners were super nice! We really enjoyed working with Howorth Auto Group. They were immediately responsive and easy to work with. They answered our questions with honesty that was apparent. I recommend Howorth Auto to anyone looking for a simple car purchase! 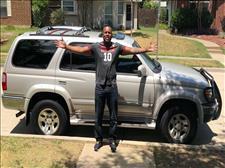 My son is excited about driving his Toyota 4Runner! 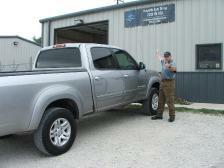 I have had a great experience at Howorth Auto! I love Amy. She is very bubbly and friendly. They treat you like you are one of their best friends not a customer!! Just love them!!! 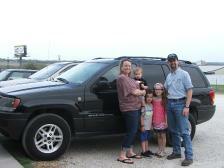 In the last two months, our family has purchased three vehicles from Howorth Auto Group. 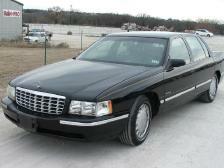 The professionalism and service we received was exceptional! 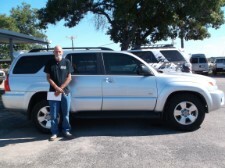 My entire experience with Howorth Auto Group was overall seamless and exceptional. 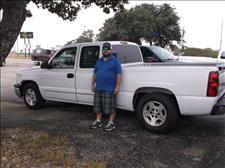 I was able to purchase the perfect truck at the perfect price! The service they gave me and my girls was phenomenal. We were in and out in no time. Amy is awesome!!! The experience at Howorth Auto Group was awesome! Thank you!!! 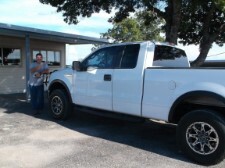 I love my new ride! Thank you very much! Cheapest car on the internet and friendly & polite people. 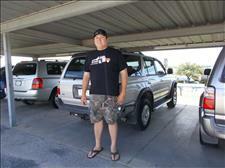 I would definitely recommend Howorth Auto Group for a cheap and reliable car. 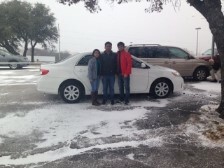 I am loving my 2013 Toyota Corolla! 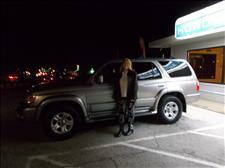 Love my car and everyone at Howorth Auto Group. 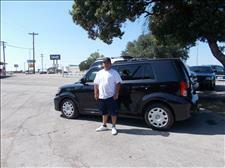 This is the place to be when looking for a great car! I shopped around for a long while and ended up finding this place. They were so great and honest about EVERYTHING! I have terrible credit with a repo due to a bad divorce and these guys saw the good in me and are giving me the chance to rebuild my credit. 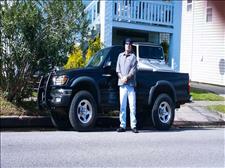 Thanks again - I love love love my truck. 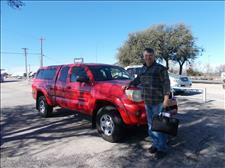 I would recommend Howorth Auto Group to anyone! We appreciate all that Howorth Auto Group has done! 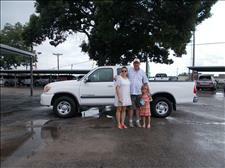 Our experience with Ty & Amy at Howorth Auto Group was great! 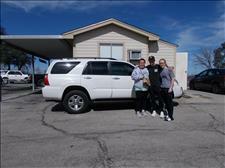 They were a pleasure to deal with and they had the vehicle that fit our family's needs priced right! We will be doing more business with Howorth Auto Group in the future and would highly recommend them to anyone looking to purchase their next vehicle! My experience with Ty & Amy was great. 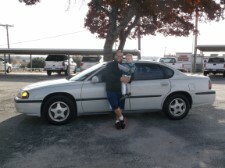 I was looking for a car for my son, and they had exactly what I was looking for, at a better price than I could find anywhere else. I was flying in from Kansas City, and they even met me at DFW with the car. They went above and beyond, and I'll definitely call them when I'm looking for another vehicle. We were very pleased with the service that we received from Howorth Auto Group - no push-to-buy - very relaxed atmosphere, very professional. 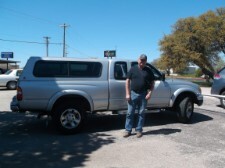 I am enjoying my new 2003 Tacoma 4WD. 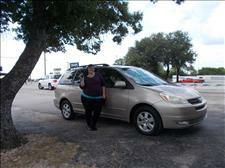 I believe I made a good deal on the price and the sales lady, Amy, was very easy to talk to and deal with. All in all a very pleasant and prompt buying experience. 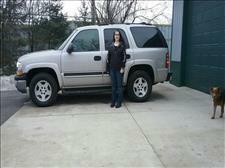 I would highly recommend Howorth Auto Group to anyone in the market for a clean reasonably priced vehicle. 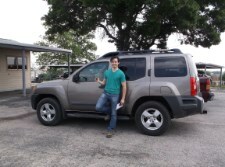 We love our new Xterra and it's been great for where we live. It's very spacious! Thank you Howorth Auto Group! Thank you for your fast, friendly, polite and competent service. It was a pleasure doing business with you. I would gladly recommend your business to friends. Thank you! Thanks for all your help. I had a great buying experience! 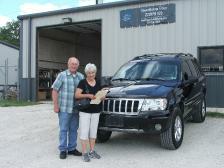 Many thanks to the folks at Howorth Auto Group. Very nice and easy to deal with. I enjoy my Toyota purchase. Thanks again! Ty found exactly what we were looking for within a day or two. Very professional and courteous service. We will definitely call again! 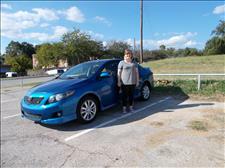 Thank you for the lovely car I purchased from Howorth Auto Group! 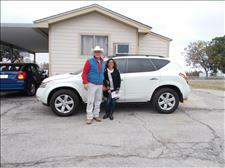 The owners of Howorth Auto Group went above and beyond to help me purchase my vehicle. 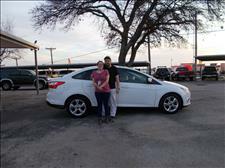 I was able with their assistance to buy a very clean dependable car. They were honest, friendly, knowledgeable and were a pleasure to work with! 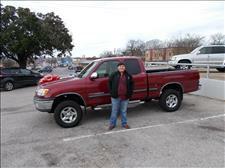 Purchasing my truck from Howorth Auto Group was a very pleasant experience. Both Ty and Amy were involved in the entire process to be sure that my needs were met. They are very professional with a personal touch which made it worth the drive to Weatherford. Thanks Ty & Amy! 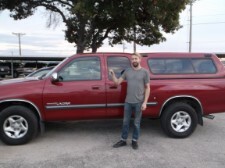 I've been looking for a long time for this vehicle and I knew I bought a project but I'm happy overall with your great service! 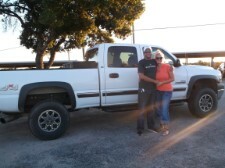 Thank you for making the transaction between Texas and California so easy! Love my car. Great customer service too! Just wanted to say Thank you so much for helping us get into the car we needed for our family! Ya'll are so nice, friendly and you made the process so painless. Thanks again! My first time buying was a success. Thank you Howorth Auto Group! I had the most enjoyable buying experience. Amy had everything done for me before I got there! I've never had a salesperson more pleasant to talk to than Amy! 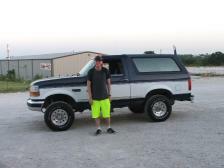 The Ford Bronco is great. I love it!!! Thanks again for letting me pick it up so late on a Saturday! Ty and Amy are great. 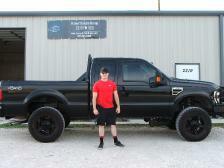 I love the truck they bought for me. Next time I need another truck, I will go to them...they are very professional! 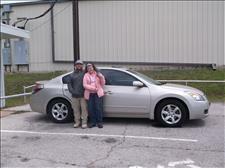 Friendly faces and an awesome car buying experience! Great working with Howorth Auto Group! 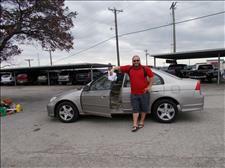 Howorth Auto Group are very nice people and helped me out to get what I wanted! So wonderful to work with awesome people! I am very happy with my purchase and the people that I worked with to find the perfect fit! Thanks for Mrs. Cook and Clay, her bearded husband! Great Team! About a year ago, I happened across this little car lot and bought a 2006 PT Cruiser that has been a very good and reliable car. Amy is always the sweetest and most helpful whenever I go in there. I've never had one single issue with them and definite recommend buying from Howorth. I really appreciate them!